Come for a fun weekend of music, food and shopping. 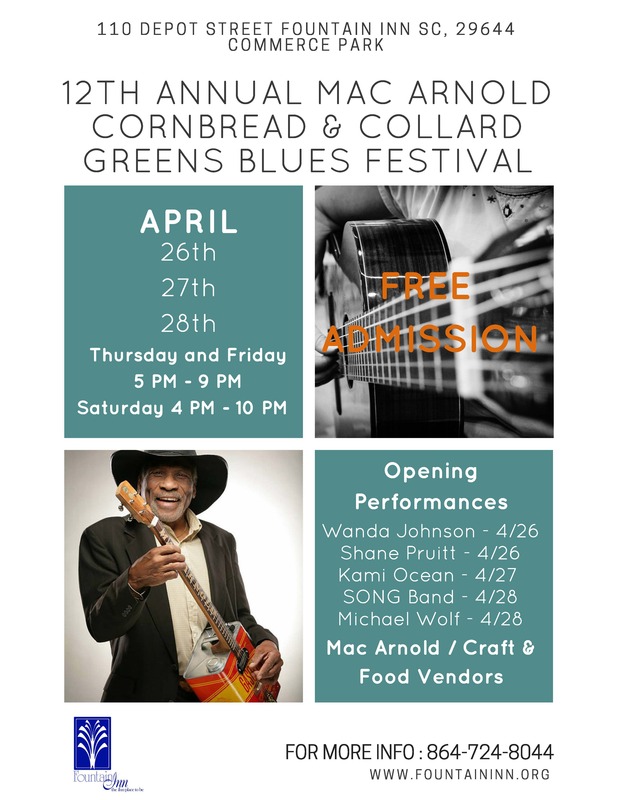 Mac Arnold will be performing all three days with the following opening acts: Wanda Johnson & Shane Pruitt 4/26, Kami Ocean 4/27, SONG Band and Michael Wolf 4/28. There will be food and craft vendors set up along Depot Street. This is a free event for the entire family.